Poly / Vinyl - Absolutely The Best! Unfortunately, too many children today do not enjoy healthy exercise outside, but our kids outdoor play sets can change all of that! By enjoying family time together outdoors, parents can supervise little ones in a natural environment and give them opportunities to socialize with other children, experience the wonder of the outdoors and develop coordination and athletic ability. 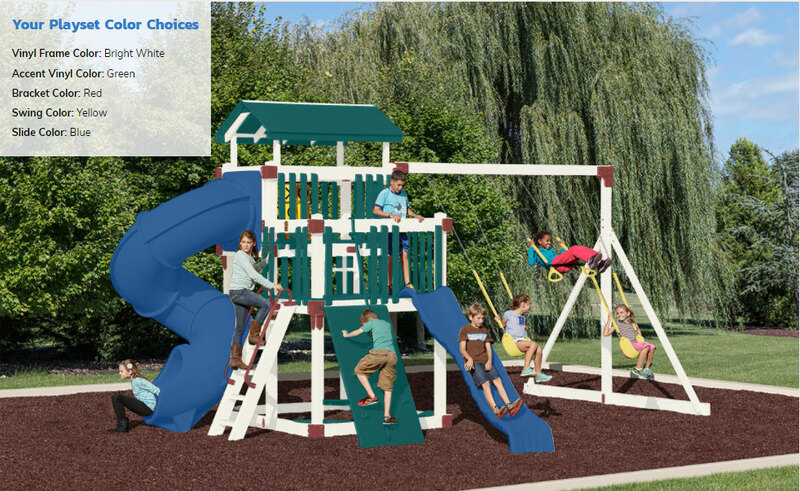 Your investment in high-quality vinyl swing sets pays big dividends, as your child benefits from regular play sessions in the backyard. The Busy Base camp - A Best Seller Can be configured in many ways! Wish you had this when you were a child? View All Our Quality Products with Brief Details and choose the best one as per your requirements & Give your Order.